The THUNDERKITTENS discover a MAGICAL HARP, strum it and release CHARR-NIN, a genie who has been imprisoned inside. MUMM-RA sees this action in his Cauldron, transforms into a BOLKIN and thus disguised seizes the HARP. 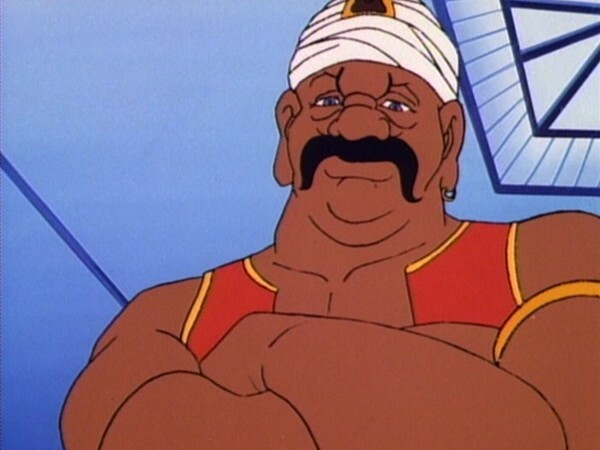 MUMM-RA promises the genie freedom if only he destroys the THUNDERCATS. Complying with MUMM-RA’s wish, CHARR-NIN imprisons LION-0 in the center of Third Earth and later brings the THUNDERKITTENS to him. LION-0 directs the THUNDERKITTENS to distract CHARR-NIN allowing him time to free himself and summon the other THUNDERCATS. But CHARR-NIN is able to capture them all in magical bonds. 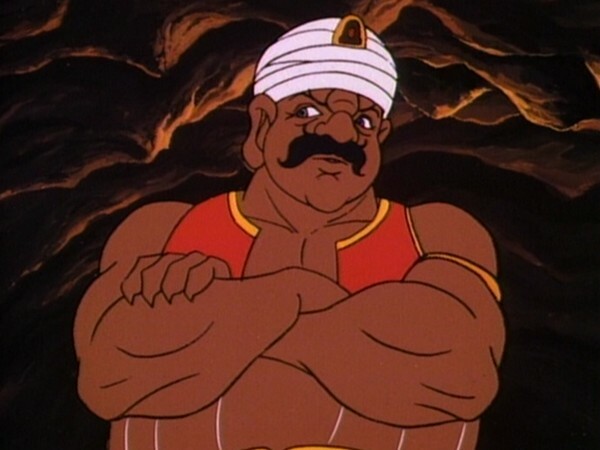 He demands his freedom from MUMM-RA, who reneges on the deal. When the two fight, CHARR-NIN’s powers are weakened, allowing the THUNDERCATS to escape. They leave MUMM-RA and CHARR-NIN for dead, but MUMM-RA rises again, for he is ever-living. WilyKit and WilyKat give in to the alluring promises of gratification offered by the genie Charr-Nin. Unsuspecting of his motives and reliability, they bring him to the Cats’ Lair. Once there, however, Charr-Nin is transformed from something pleasurable to something dangerous. 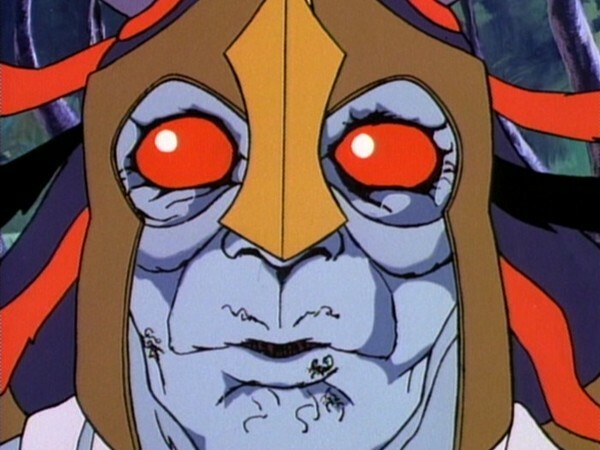 For he himself falls prey to the allures of freedom offered by Mumm-Ra, and he turns against the ThunderCats. 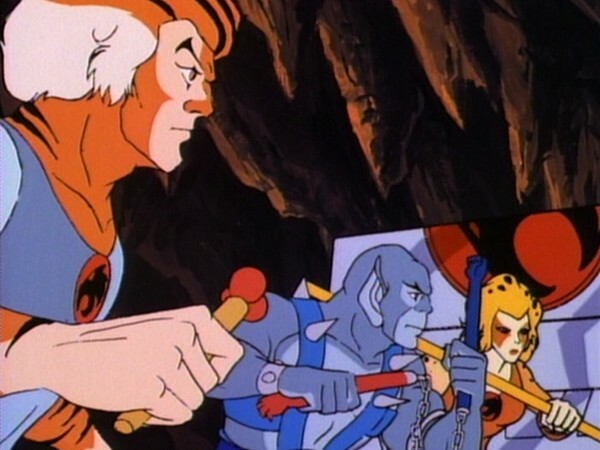 It takes extraordinary events for the ThunderCats to extricate themselves from his magic. Only when Mumm-Ra and Charr-Nin square off in a duel of powers can they escape. We must be careful when presented with promises of instant and easy gratification, which appear to be pure gift and have no strings attached. We must always evaluate with reason and responsibility the motives of others, especially if they are strangers, who offer us something for nothing. Such offers are most often illusory and the person will expect something from us. In some cases, the promises can be dangerous, if the person is out only for his own gain. It is not in our own best interests to accept anything from a stranger. And we should always be suspicious when we encounter situations that appear to be offering something for nothing. 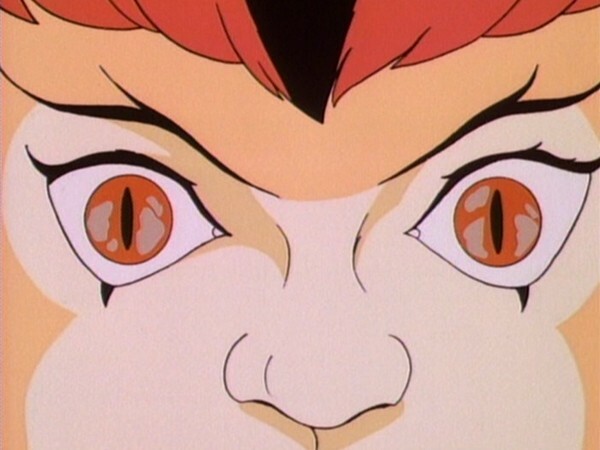 Throughout the progression of the first season of ThunderCats, the series began to borrow more and more from some of history’s best and most intriguing fictional and mythological motifs and give them their own unique twist. Whilst this could be blamed on lack of originality (and in some cases, such an argument would not be entirely unfair), nonetheless this had a fair success rate, with ThunderCats becoming something of a melting pot for the best ideas and concepts in fantasy. 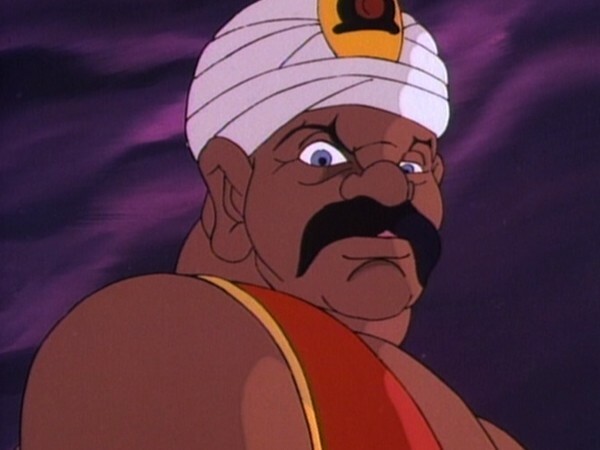 So, it was perhaps only a matter of time before somebody touched upon the story of Aladdin and his famous genie of the lamp and gave the concept a ThunderCats makeover, which is essentially what this episode is – however, in all honesty, the results are somewhat mixed. That it should be the Thunderkittens, Wilykit and Wilykat, who first discover Charr­Nin and his alter ego of the golden harp (this episode’s version of the genie and the lamp), is absolutely the most logical choice, simply because of the ‘Kittens’ inquisitive natures and lack of savvy to leave well enough alone. However, whereas in earlier episodes such as “Mongor” this plot device felt very natural and also opened up the story to a really formidable and visually arresting nemesis, “The Evil Harp of Charr­Nin” feels very much like a recycled version of this formula, simply with a less exciting and rather more predictable villain. 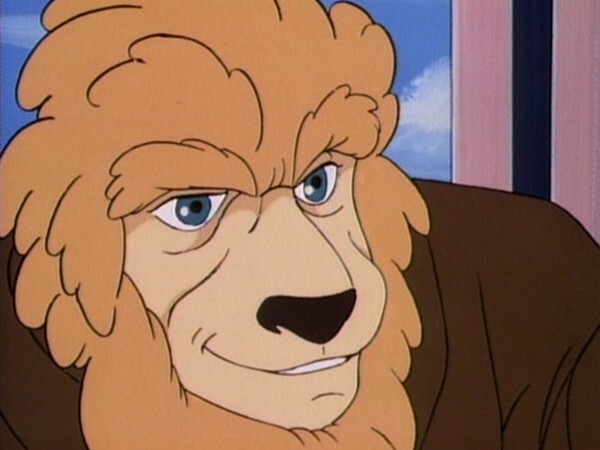 Indeed, perhaps it is because this episode was the first and only to be written by the pairing of Douglas Bernstein and Denis Markell, not just for this series but for any animated television series, but this episode feels very much like “ThunderCats by numbers”, heavily reliant on a very basic (albeit highly adaptable and workable) formula upon which this tale is based. In fairness to the pair, 1980s animation writing was, by its very nature, a formulaic affair – essentially, “bad guys come up with plan to defeat good guys, good guys initially fall foul of this plan but quickly come up with counter, and defeat the bad guys to save the day”. 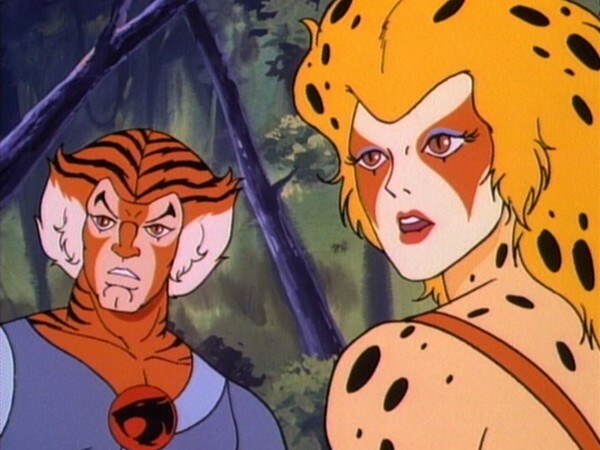 But, many writers over the years have come up with increasingly new and inventive ways of executing this formula, with ThunderCats being one of the more favoured recipients of this, and as such an episode like this with its more basic plot feels like more of a let­down than it might have been in another series. Which is not to say that this episode is ridiculously awful – indeed, it actually has many entertaining scenes and enjoyable moments. And yet, somehow it’s hard to shake off the feeling that it’s an episode going through the motions. 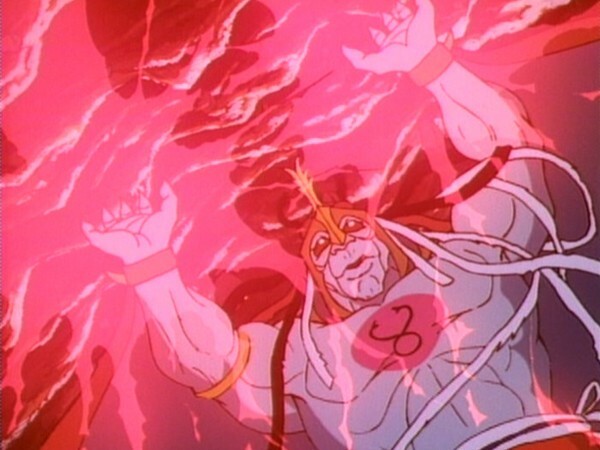 Even the episode’s heavy focus on Mumm­Ra, whose menacing presence and theatrical dialogue always manages to lift a leaden ThunderCats episode, feels as though it has been done not to further the plot as much as a means of inserting the character of Mumm­Ra into the proceedings because this is what is expected of a ThunderCats episode. 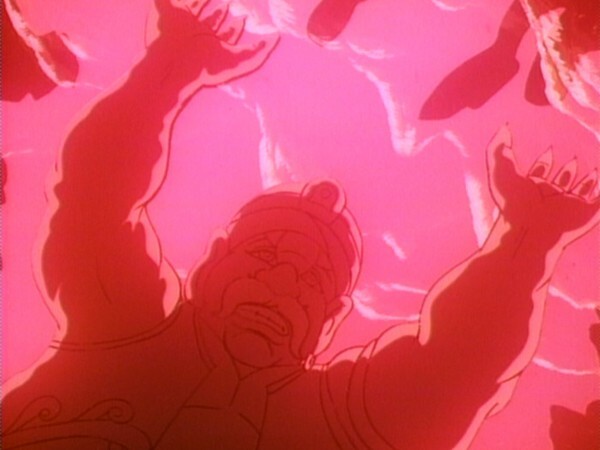 As with a handful of other episodes that take place both before and after this one, this episode features another “false death” for Mumm­Ra, with the ThunderCats believing that he has perished at the centre of Third Earth. However, this is arguably the most random example of this, with this episode being neither a season finale nor the conclusion of a multi­part episode! 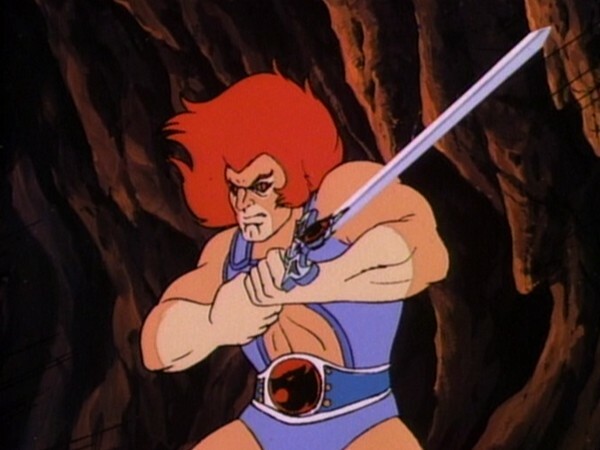 This is the only ThunderCats episode to be penned by the writing team of Douglas Bernstein and Denis Markell. Although this would be their only contribution to the world of animation, the pair would also write episodes for two different comedy series, The Charmings and Wish You Were Here.